The Apulian waterworks by bicycle: the cycle trail of the water. To run along these paths, which are among the most beautiful “green roads” in Europe, it is like crossing the heart of stone of Valle d'Itria while enjoying the landscape from a very privileged position: one that deserves the responsible traveler, looking for unique and authentic emotions. Walking, trekking, cycling or on horseback, with the form of “soft mobility” it is possible to move on the fronds of the oaks, on the pinnacles of the trulli, above stables, cisterns, wells, gardens, terraces; on the grid of tracks, bordered by stone walls. Slowly. Discovering a Puglia far from the mass tourism flow, yet authentic and full of the essential elements of rural culture. Part of the ways that covering the mighty water pipes - the historical "veins" of Puglia infact they are now accessible for walking and cycling, thanks to a project funded by the Region of Puglia and made by the Board of the Apulian aqueduct. We talk about the first section that includes the path of the water cycle-way, the most famous Italian aqueduct corridor. It is the apulian variant of the "Cycle route of the Apennine Mountains", the National Route number 11 of the cycling network proposed by the Bicitalia association, the second European cycle route on an aqueduct. Just 11 kilometers to a flat path to run without difficulties, which have a very special purpose: to transform the way of the water in one of the most beautiful and fascinating cycling routes in Europe, which, upon completion of the project, should connect, southward, the city of Locorotondo with that of Grottaglie. The bike lane is in fact only the first stage of a much larger system of more than 250km, identified under the project CYRONMED: itineraries for a Mediterranean cycle network. The bicycle route currently accessible start from the contrada Figazzano, on the way of Trulli, in the heart of Valle d'Itria, where are located the water elevator system and a new rest area, which makes all the basic facilities for bike users, and hosts of the “GAL”, a local countryside association. Through a linear itinerary that alternates ups and downs in flat sections, accessible to and from the main urban centers of the valley, it is possible to reach the intersection with the highway that links Martina Franca and Ceglie Messapica, in the province of Brindisi. Thanks to a wide trail made of pressed crushed stone that passes on top of five bridges canals. The bridges canals, are historical hydraulic engineering works that allow you to overcome the subsidence’s and to ensure appropriate water flow slope, which offer today to the eyes of tourists a prime location to admire a landscape still authentic, transformed in a sustainable way by the man who still lives there. Or stop for a moment to listen to the ancient history of its main cultural heritage. Who tells you the story, he has not taken a trip with destination Puglia dreaming holidays in Italy, but peace, home and a residence permit. Cycling on the water way, and on the evidences of the local civilizations that it passes through to satisfy a basic need, is for us a revealing path, as well as the narrative expedient of a story that will see as protagonist persons, contrade, farms, trulli, dry stonewalls , jazzi, produce of land, flora and fauna of the typical Mediterranean bushes. Along with advice on how to visit the territory responsibly and get in touch with the rural community that has inherited, for live an immersive experience. On the veins of Puglia. 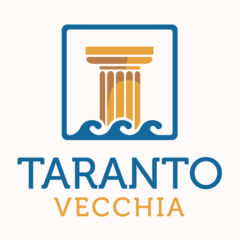 Project for the social integration and the enhancement of the territory by the Protection System for Asylum Seekers and Refugees of Martina Franca. Freely inspired by the story of V. Stagnani, in "Puglia off road", Bari, 2009.